Five of Tennessee's nursing homes are in the top 20 most fined facilities in the country. 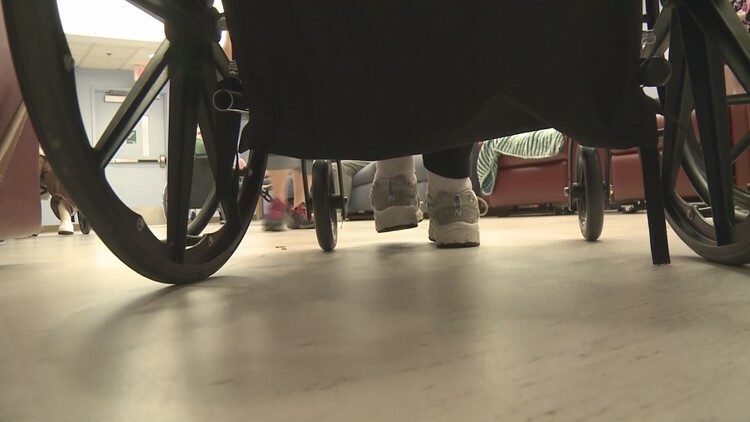 The Tennessee Department of Health suspended new admissions to the nursing home on Wednesday after finding conditions that could possibly be "detrimental to the health, safety or welfare of the residents." Knoxville — Asbury Place at Maryville, a 181-bed nursing home, was fined $45,000 and ordered to stop admitting any new residents on Wednesday, a news release from the Tennessee Department of Health said on Thursday. The release explained the nursing home had received nine fines from the state, each for $5,000, and that a special monitor would now review the facility's operations. The suspension and fines came after the state found the nursing home had violated standards for administration and basic services during a complaint survey conducted by the state from August 13 through August 20. The investigation was completed September 4, according to the release. "The Commissioner of Health may suspend admissions to a nursing home when conditions are determined to be, or are likely to be, detrimental to the health, safety or welfare of the residents," the release said. "The order to suspend admissions remains effective until conditions have been and continue to remain corrected. A copy of the order must be posted at the public entrance where it can be plainly seen." The nursing home does have the right to a hearing before the Board for Licensing Health Care Facilities or an administrative judge regarding the suspension of admissions. Asbury Place at Maryville is located at 2648 Sevierville Road in Maryville.